If you’re looking for the name of a minor character in Star Wars or trying to brush up on the lore of the latest big video game, you’ll probably end up on a wiki website hosted by Fandom. Unlike Wikipedia, Fandom is for-profit, but all of the content is written for free by a community that is happy just to have exposure. Recently, conflict has been brewing as Fandom tries to push monetized yet low-quality video on the platform, sometimes at a detriment to the free work provided by fans. Nukapedia, a Fandom Fallout wiki, has over 25,000 articles that offer a comprehensive look at anything from every Vault in the franchise to any food item in the games. Chad, a “super-admin” of Nukapedia, started getting involved around 2011, when Interplay and Bethesda were locked in a legal battle over Fallout as a franchise. As a law student at the time, Chad helped report on the ongoing lawsuit. Chad told me over email that Fandom discussed adding video to Nukapedia in May, but that “feedback on the concept was particularly negative,” he said. Over the months, he’d assumed that Fandom had lost interest. To his surprise, last week he woke up to huge, auto playing videos on five pages of Nukapedia, each with unskippable video ads. The Nukapedia team ended up creating a frame for each page with video on it, indicating it was made without their consultation or approval. Nukapedia, Chad claims, isn’t against video, but the videos that Fandom put on their pages didn’t meet community standards of what would typically be hosted on a wiki page—straightforward and serious information, meant to educate the reader. The new videos not only contradicted long-held editorial standards, they were peppered with crass jokes. A video about Piper, a character who is a journalist in Fallout 4, includes a reference to “fake news” and an allusion to President Trump. 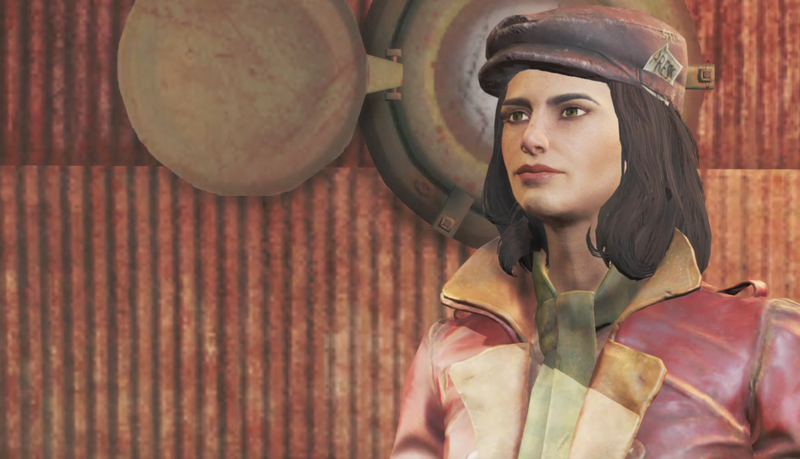 By contrast, the page for Piper on Nukapedia reads like an entry in Wikipedia, with absolutely no editorializing. “I’m opposed to Trump, but this isn’t the time or place for that sort of thing,” Chad said. On a page in Nukapedia’s forum collecting criticisms of the new videos, the community at large indicates that they feel like Fandom doesn’t know or care about the wiki they’ve built and the standards they hold themselves to. The community had specific problems with each of the videos, from grainy video quality, to inaccurate and inconsistent information, to the monotone voice of the narrator. To top it all off, the community hadn’t been consulted at all during production. Fandom, for their part, ended up removing the offending videos after seeing some of the negative feedback. “I agree that with these videos in particular we did not deliver the right type of content experience,” Fandom CCO Dorth Raphaely said over email. “We want to collaborate on finding a solution and to do that, we felt the right decision was to temporarily pull down these videos. Again, we’re in the experimentation phase, so it’s important for us to be open and flexible.” Even if the videos are gone, Chad doesn’t feel reassured about the direction that Fandom is taking with the content that the Nukapedia community has collated and curated. Fandom feels that “consumer patterns are changing,” and as such, they want to provide “complementary video” to accommodate that supposed need. “[Fandom seems] committed to having some sort of video—I’m not naive, I can understand why, Wikia’s not a charity, it’s a for profit business and they need the video platform to sell video advertising,” he said. Fandom claims that adding video to Wiki pages will help decrease the number of overall ads, which should be a “better experience.” Moreover, Fandom feels that “consumer patterns are changing,” and as such, they want to provide “complementary video” to accommodate that supposed need. While fewer ads on wikis hosted on Fandom would be great, the trade-off is that featured videos may be longer: I saw minute-long Mario + Rabbids ads on Nukapedia playing before featured videos and they autoplayed, a faux pas for most websites (as our lovely readers point out whenever it happens on Kotaku). Right now, many companies are pivoting to video and ad revenue is shifting towards the format. But when it comes to looking up certain gaming info, like figuring out what actions Piper likes and dislikes in Fallout 4, text can provide a better user experience.